Win the team battle with paper cones. 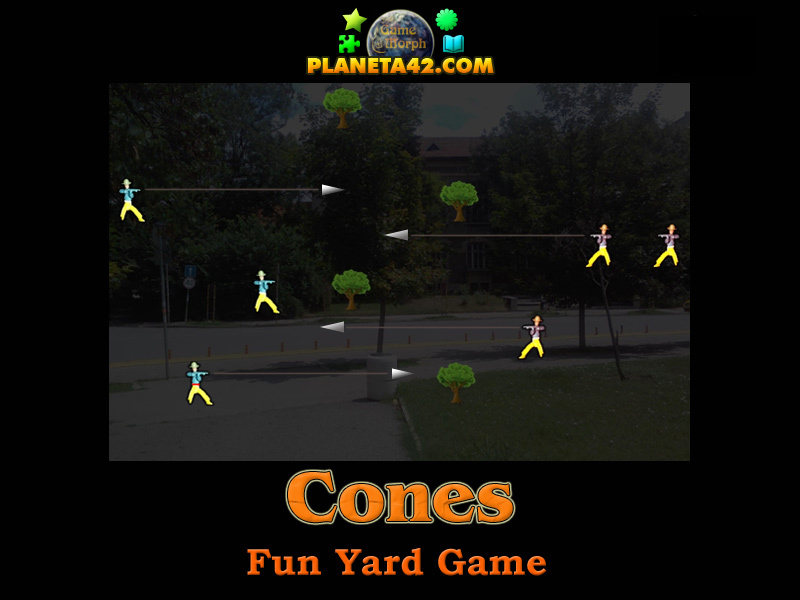 "Cones" is a free online yard game to shoot paper cones with tubes. Move up and down with arrow kesy and shoot a paper cone with space bar. Hit every player from the enemy team 9 times. Sport games in the browser. Yard learning game. 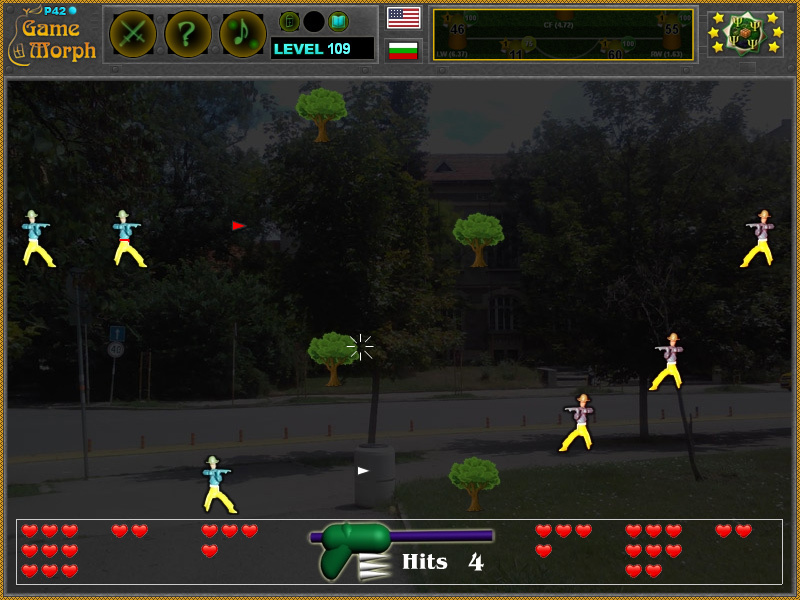 Online shooting game. Paper cones game. How to play Cones Game. There are two teams to play the yard game paper cones. You take control of player 2, flagged by a red belt. Move up and down with arrow keys and shoot a paper cone with space bar. You can not move while you are shooting. Every player have 9 hits, then he leaves the game. If all player from a team leave the game the other team wins. Know the paper cone yard game and win +1 Knowledge Level. Cones game is a game for children aged 15-16, mostly boyish. Funnels are made of paper - most often pieces of newspapers or magazines with a size of about 1/5 sheet of a small notebook or glossy paper. The paper is wrapped, with a tip pointed at one end. Then it is cut off (cut off, shortens) at the far end, put in a short (about 40 cm) metal or plastic tube and blows blowing in the tube. You can do something like a wooden gun and stick the tube on top. You can also make a twin or trike. This game was popular in the eighties. Now it has begun to be practiced again by the children. It is usually played in the summer. You can play in teams and organize games. Some, however, play unfairly as they put a pepper or other dangerous objects at the top of the funnel. Labels: Sport Games , Yard Games , Team Games , Embodiments , Education Games , Free Online Games.